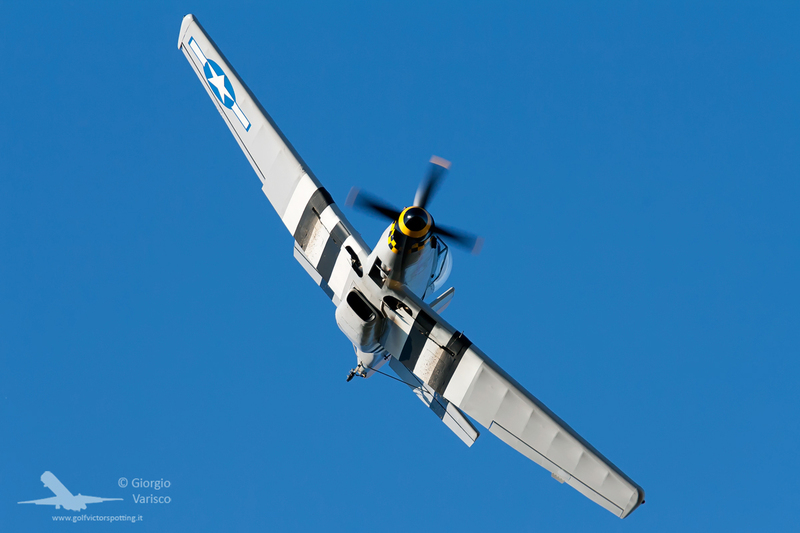 Every year, the Historical Aircraft Group (an Italian association for historic aircraft restorers, pilots, owners or simply enthusiasts) organizes a small airshow, both to showcase its historcal planes to the general public and as a meeting point for its members. 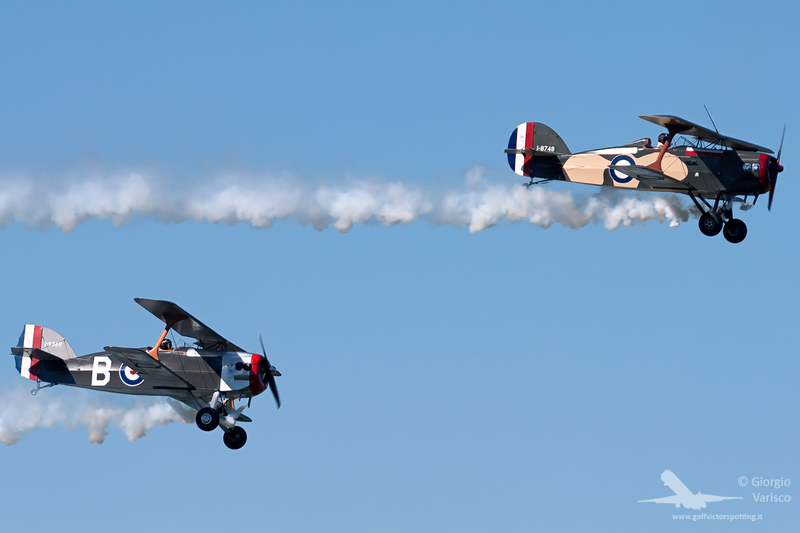 This airshow, the FlyParty, was held on Montagnana airfield, a small airfield an hour’s drive from Venice. 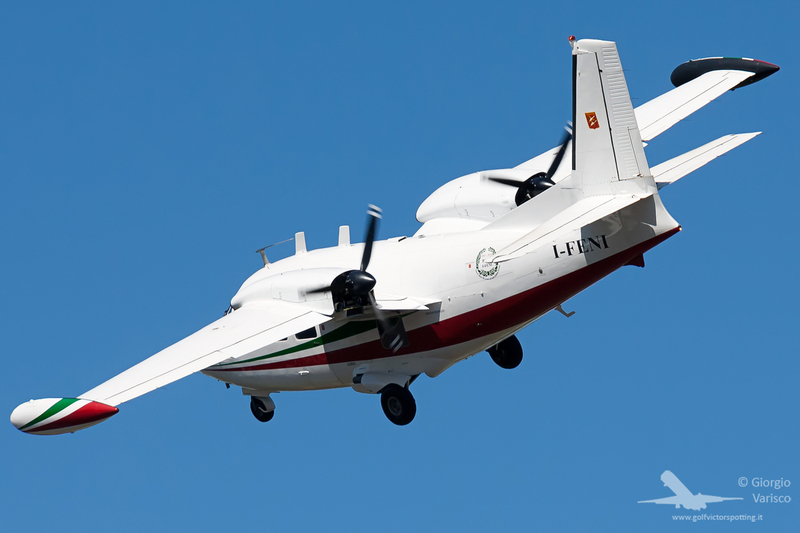 …to rarer airplanes, like this Piaggio P.166 restored to airworthiness in 2011. 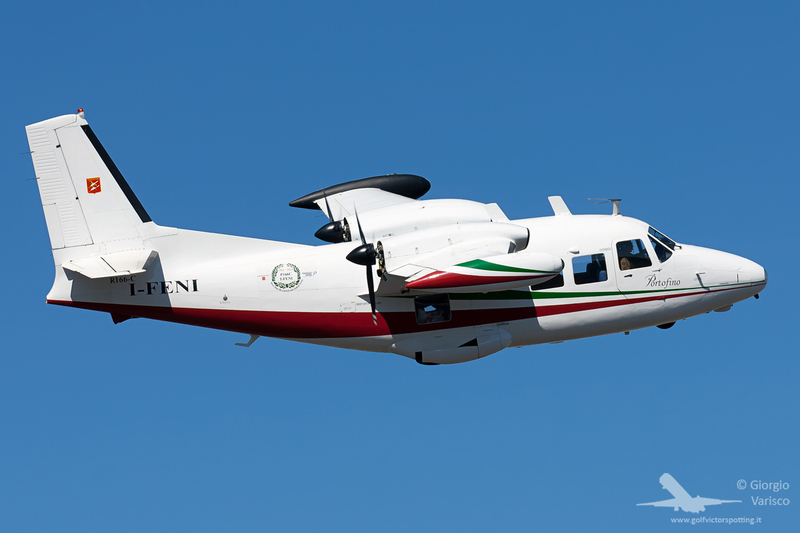 The P.166 is an evolution of the Piaggio P.136 amphibian plane, and its typical pushing engine configuration can still be seen today on the P.180 Avanti! 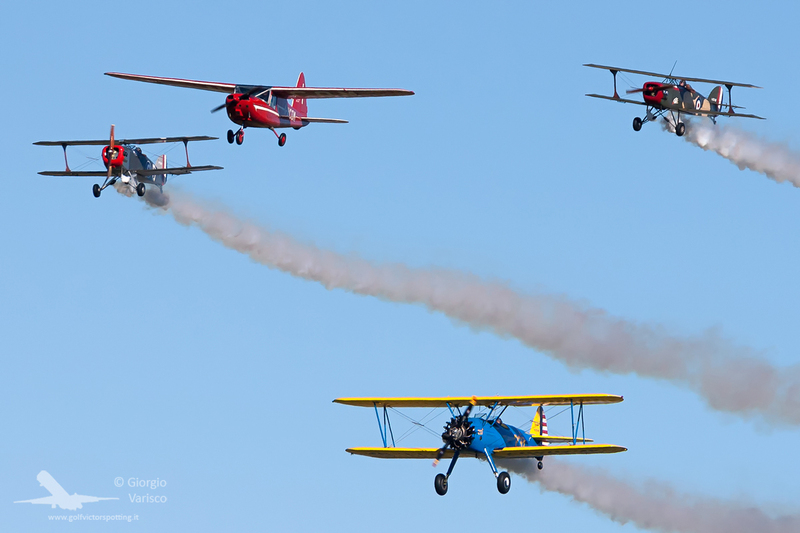 Stelio Frati Pylon Race, a race dedicated to the airplanes designed by engineer Stelio Frati. 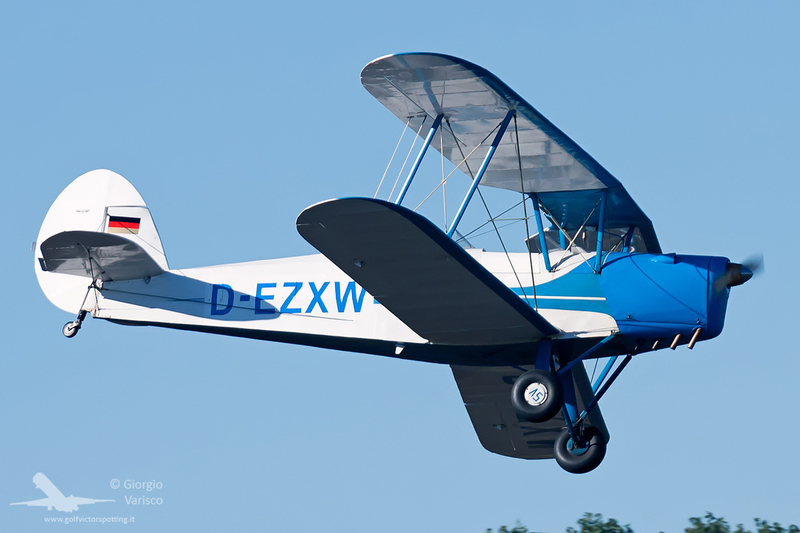 Frati used to design some of the best-looking general aviation planes ever built, and their high performances made them the Ferrari of the air! 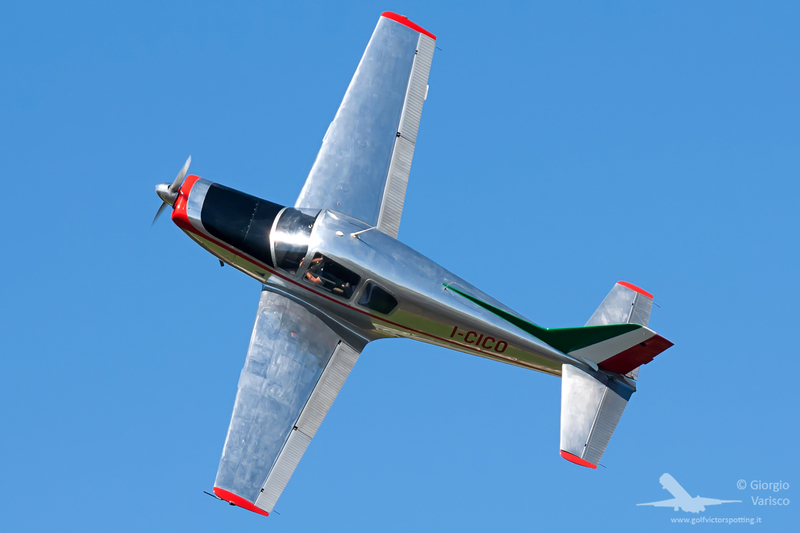 Frati’s most famous plane is the SIAI-Marchetti SF.260. 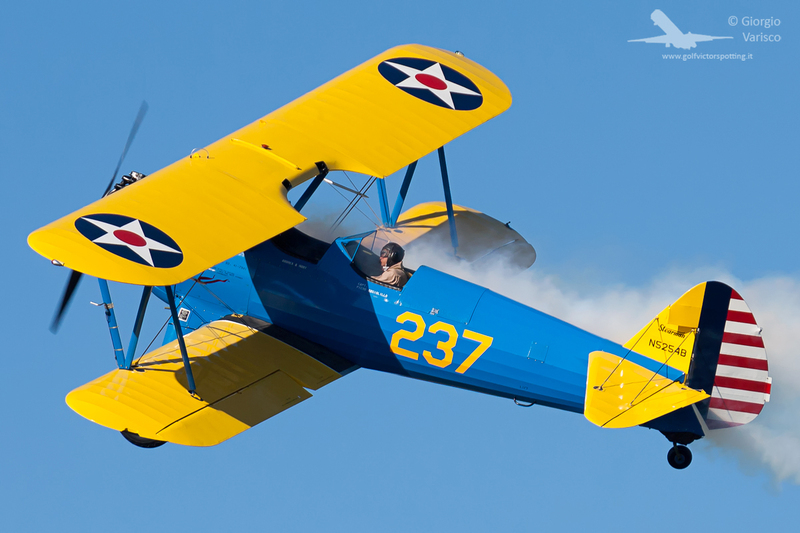 Let’s return to the Waco UIC featured in the first photo (you noticed it, didn’t you?) 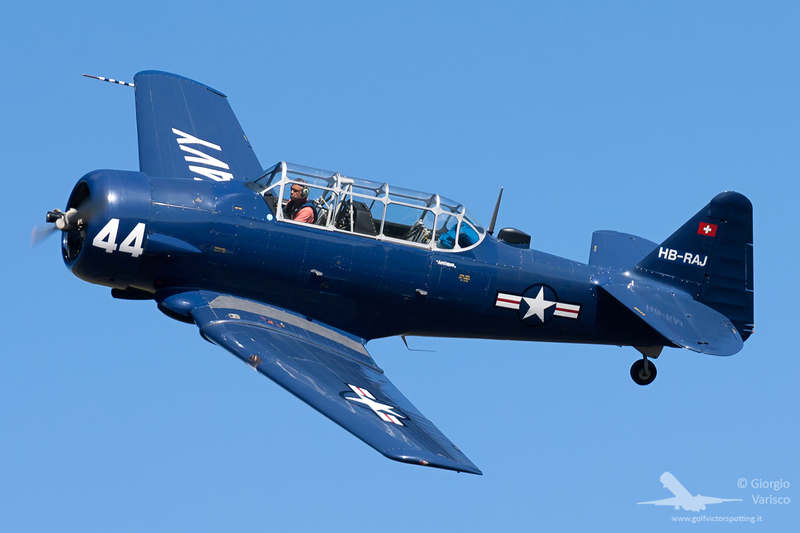 This airplane survived the Pearl Harbour attack: it was flying over the Hawaii on 7 december 1941, when 2 Imperial Japanese Navy fighters tried to shoot it down. 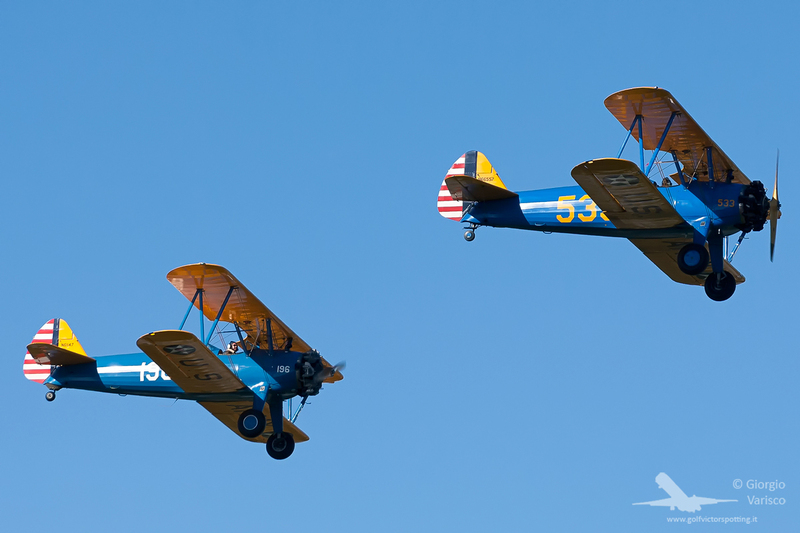 The Boredom Fighters Team flies 2 Wolf W-11 Boredom Fighters homebuilt biplanes. 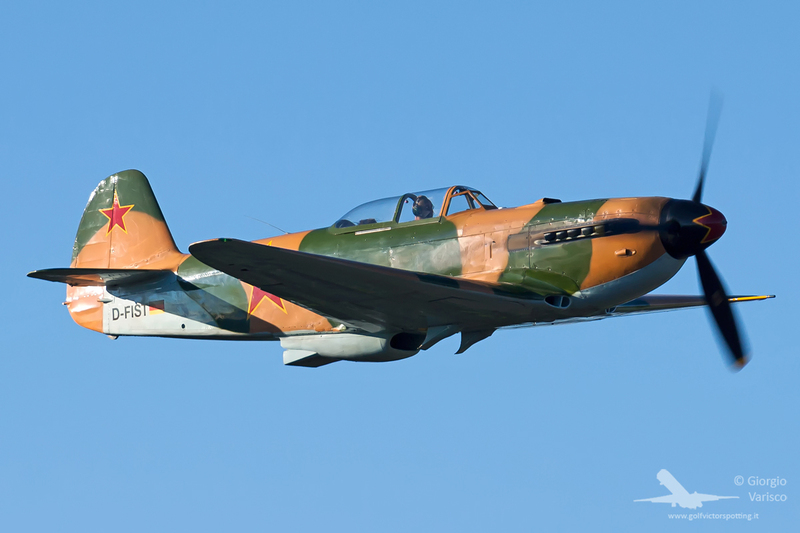 The HAG President flies this beautiful Macchi MB.308. 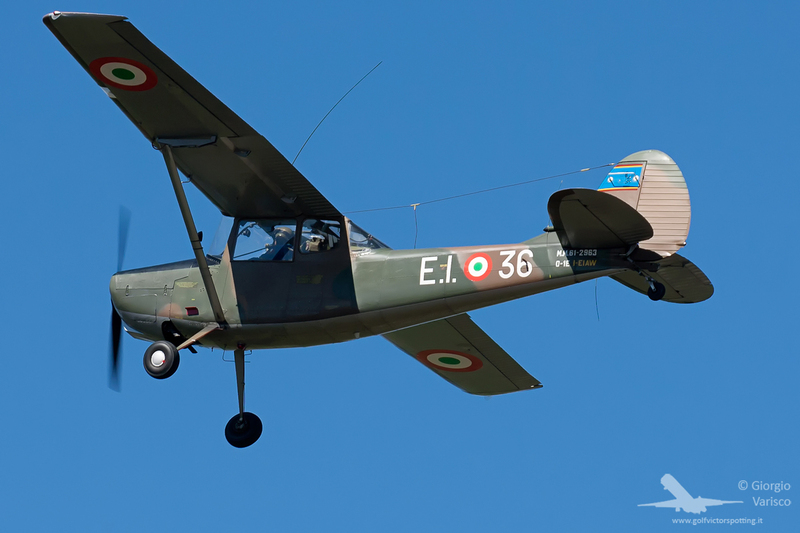 The MB.308, nicknamed Macchino (“Little Macchi”), was the first airplane built in Italy after World War 2. 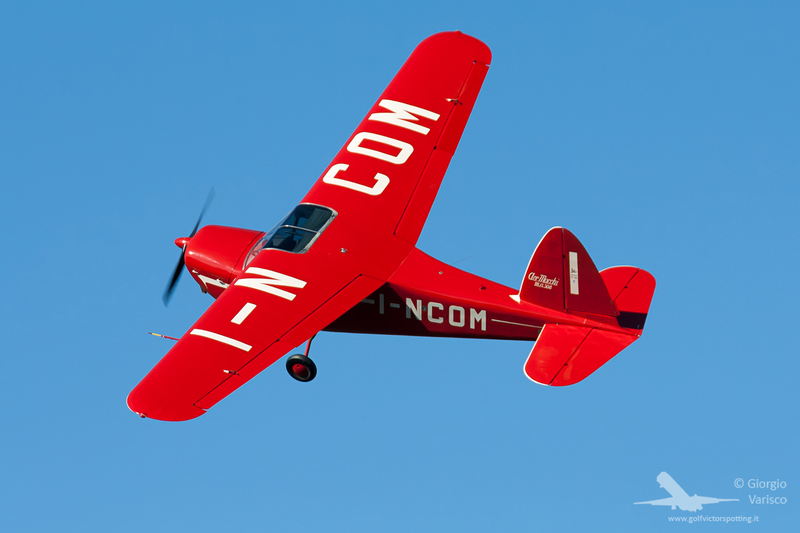 This particular plane was flown by Industria Cortometraggi Milano (“Milan Short Film Company”, INCOM for short, and this explains the registration), which used this plane to take aerial footage for the newsreel La settimana INCOM (“INCOM Weekly”). 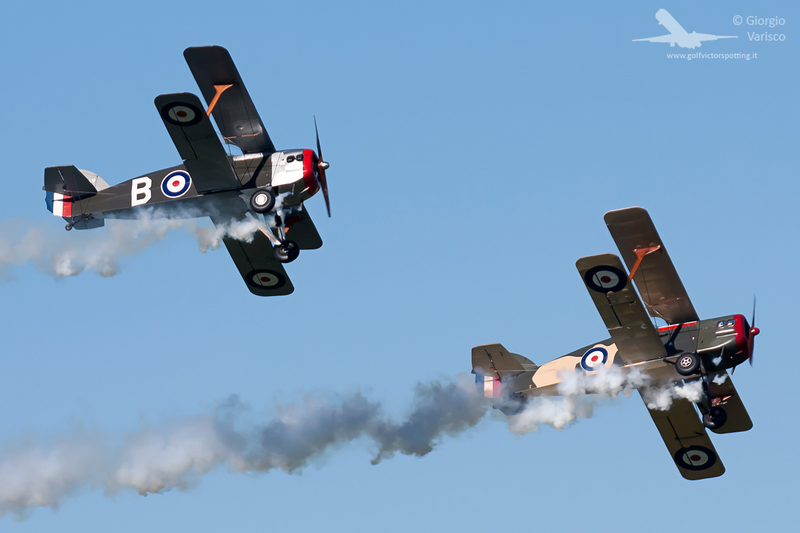 The MB.308, one Stearman and the Boredom Fighter Team flew this “Missing Man” formation in memoriam of the 4 Italian Air Force officers who lost their life on 19 august 2014 in the crash of their 2 Tornados. 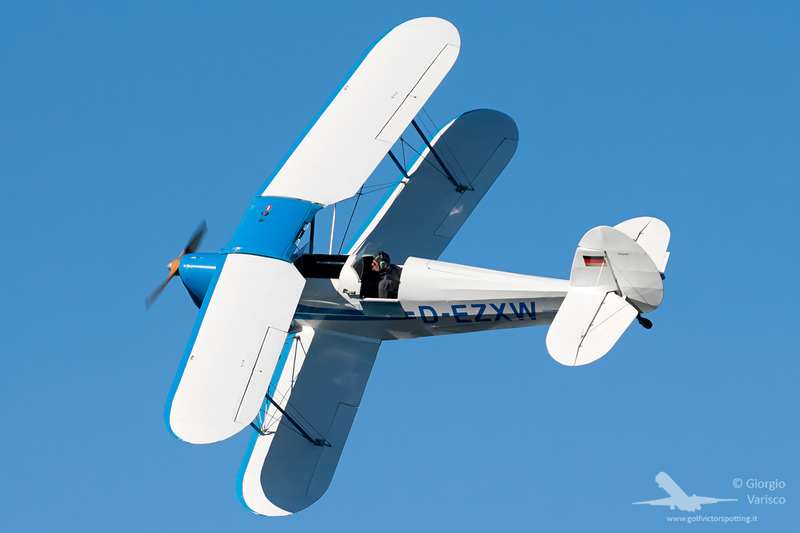 Belgian-built biplane Stampe et Vertongen SV.4. 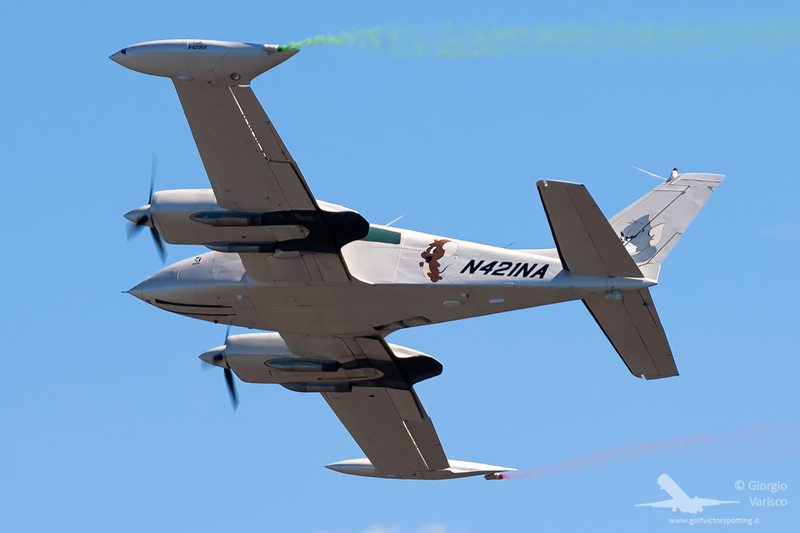 This photo shows the typical SV.4’s swept wing. 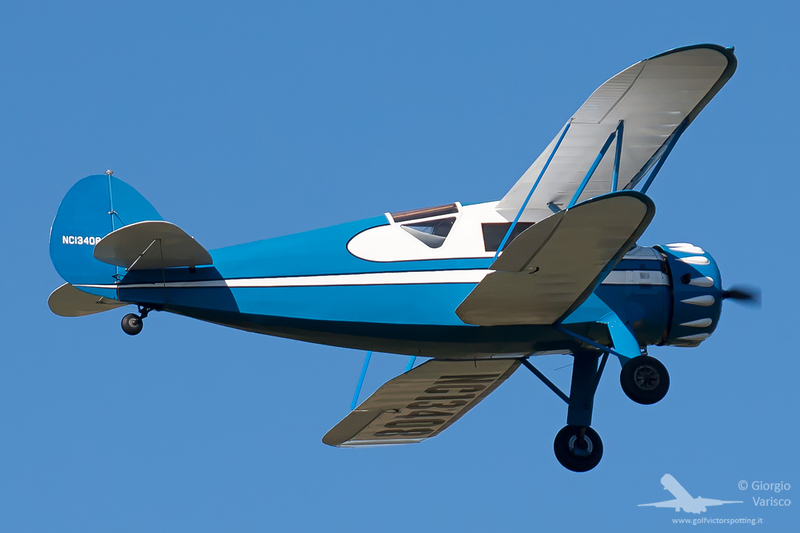 Cessna O-1E Bird Dog in the livery it wore when it was used as an observation and liaison plane by the Italian Army. 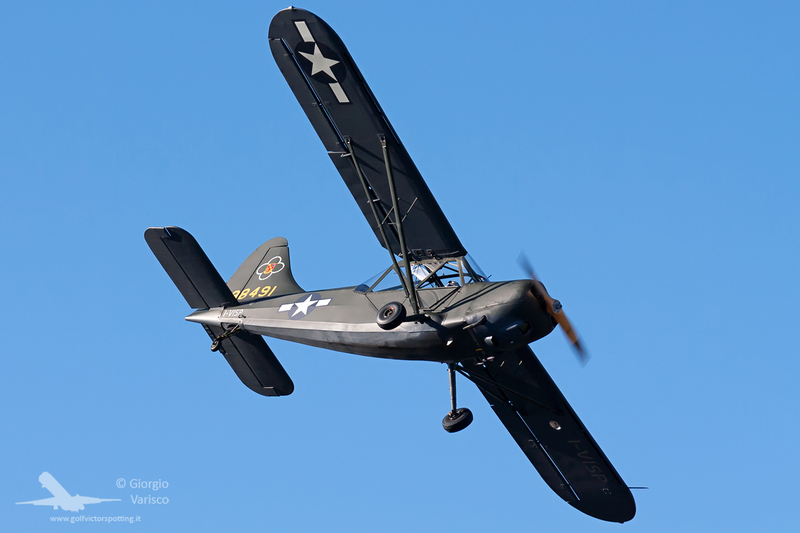 In Italy it is possible to see lots of airworthy Stinson L-5 Sentinel. 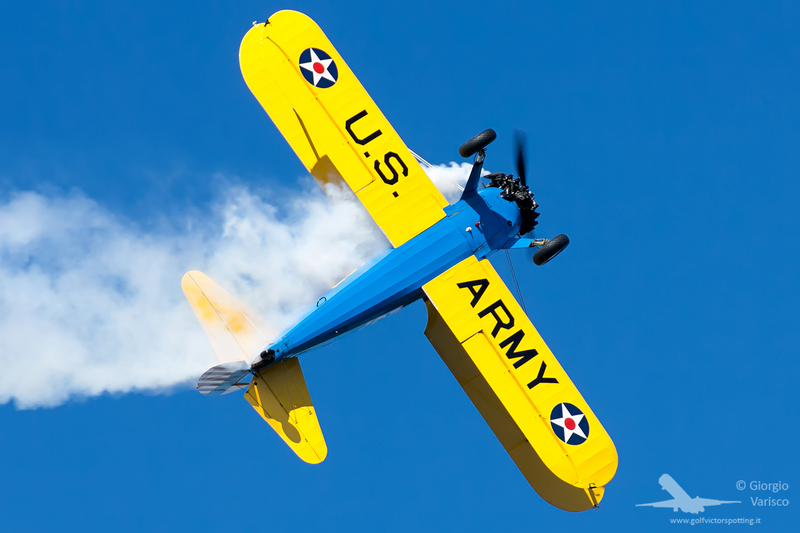 Used by the USAAF during the liberation of Italy in WW2, they were deemed too expensive to be brought back in the USA after the war, and they were donated to the Italian Air Force. 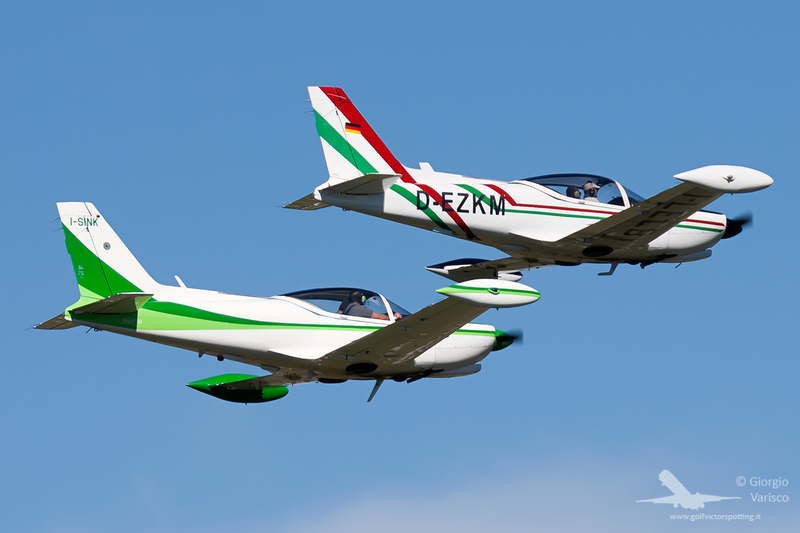 The Italian Air Force then gave them for free to various gliding clubs as towing planes, where some of them are still used. 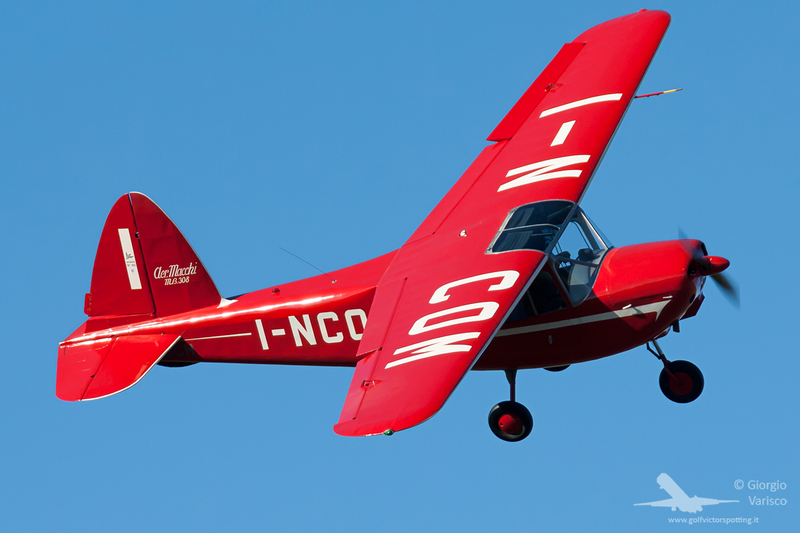 This strange flying… thing is the AeroGallo (“Air Rooster”), a one-of-a-kind homebuilt ultralight. It even has speakers on the outside to make the rooster’s cry, and when its display ends the livery designer goes near the runway with a giant fake hunting rifle to “shoot” him down! 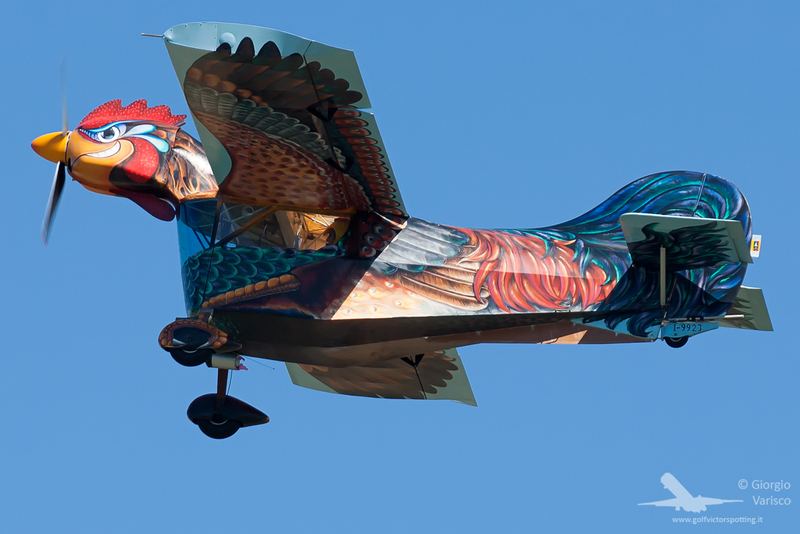 Oh, and the pilot flies it dressed like a chicken! 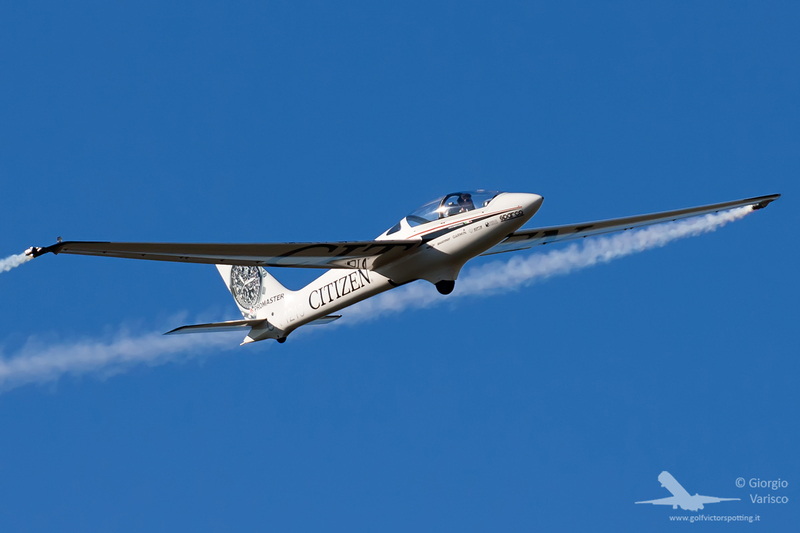 Cessna 310 with Tom & Jerry drawn on the fuselage. 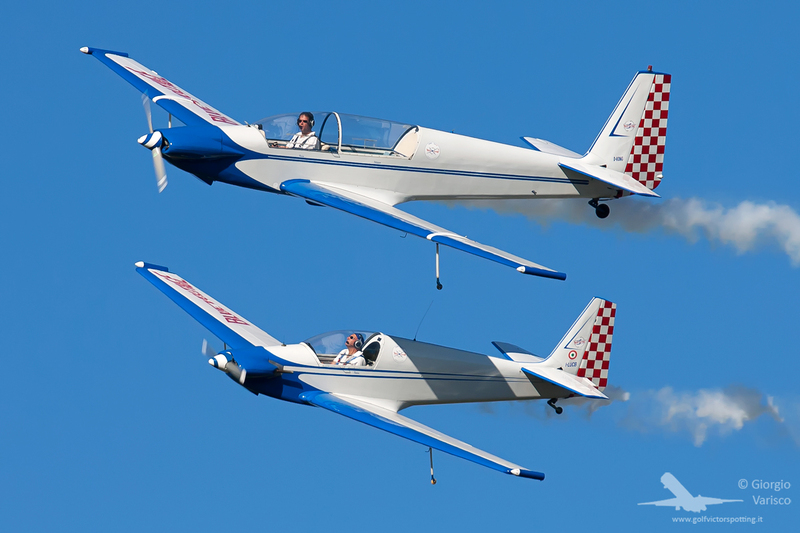 ERCO Ercoupe, a plane without pedals: the rudders are linked to the stick so that it always performs coordinated turns. 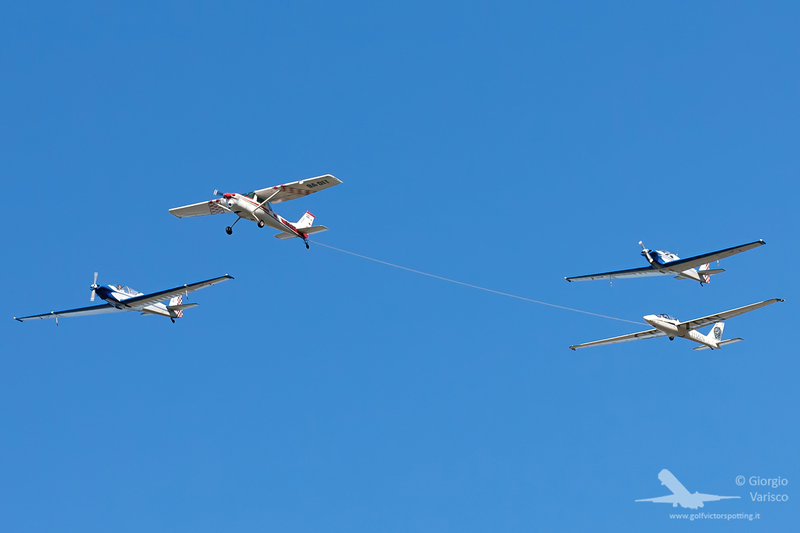 Formation with acro glider champion Luca Bertossio, his tow plane and the Blue Voltige display duo, flying Fournier motorgliders. 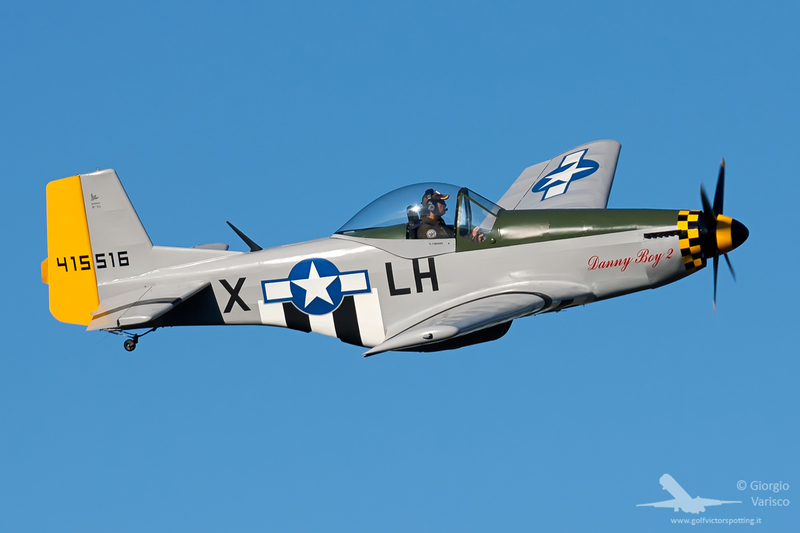 Loehle 5151, a scaled-down replica of a P-51 Mustang. 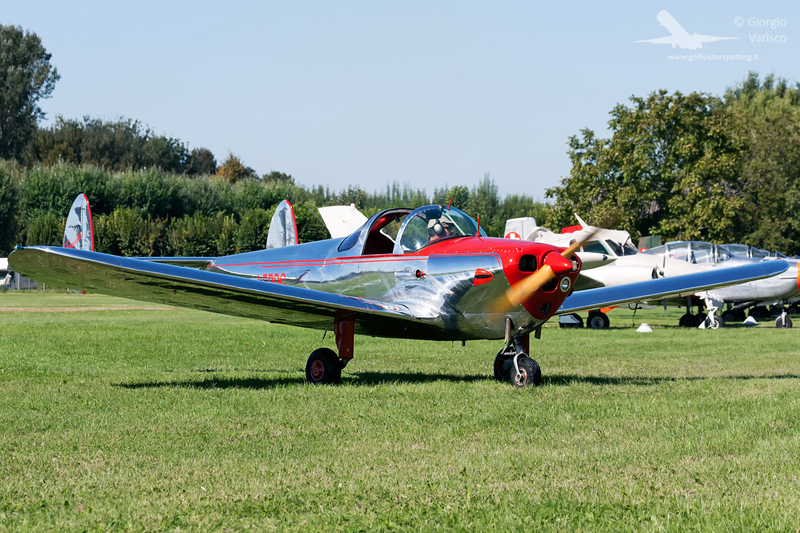 A Yakovlev Yak-9 replica with an Allison engine. 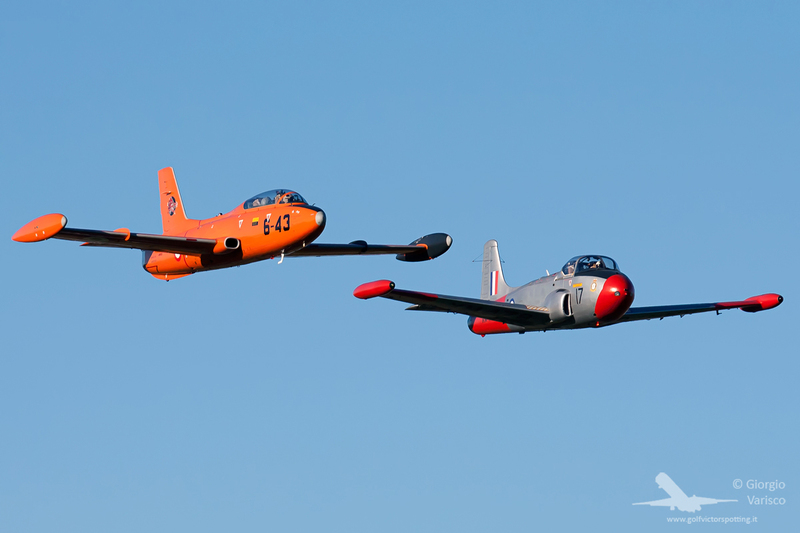 And finally the only 2 airworthy historic jets in Italy, an Aermacchi MB.326E and an Hunting Jet Provost, both of them owned, restored and flown (well, not at the same time like in this picture! 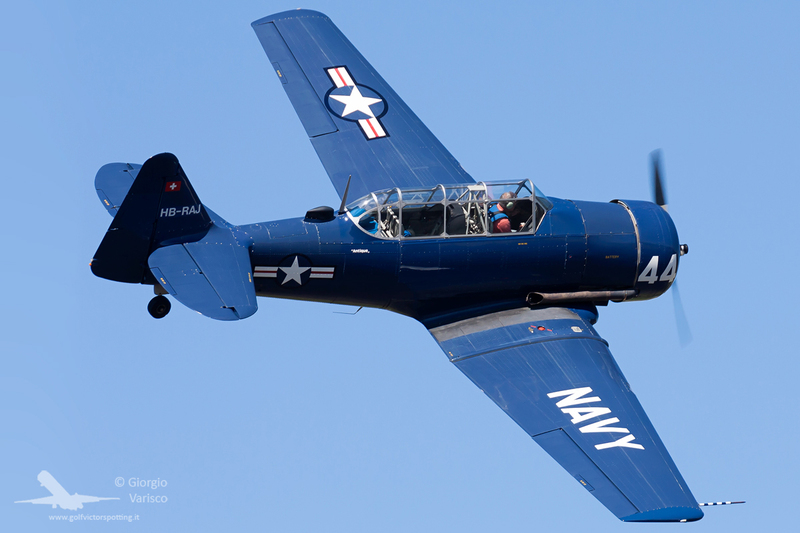 🙂 ) by Renzo Catellani, who also owns the Bird Dog which I showed some photos ago.